When one is wed to another, and a registry exists somewhere, various mismatched place settings, dishes and glasses begin to roll in. Unless you're very lucky, a few things just won't get picked up. In our case, this was a set of tumblers. White wine glasses. Red wine glasses. Martini glasses. Flutes. Countless margarita glasses. A set of goblets, for some reason. 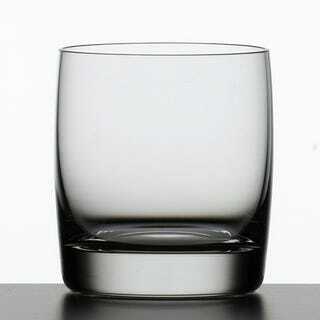 The only glass we could conceive missing was the classic tumbler. I don't mind drinking red wine out of a white wine glass and I'll drink cranberry juice from a goblet, but after a while you get tired of drinking gin from a coffee cup. Thus, we put some nice glass tumblers, the kind of heavy ones that just feel right in your hand. Today, Twitchykun(Levl 10 Jalop-Knight) dropped a comment in Wert's stalking Honda Civic post that also just felt right. CVCC just kicked in yo! Level 11 might not be far off.